Nottingham is blessed to have a pastor that is committed to serving Christ and serving the Body of Christ. 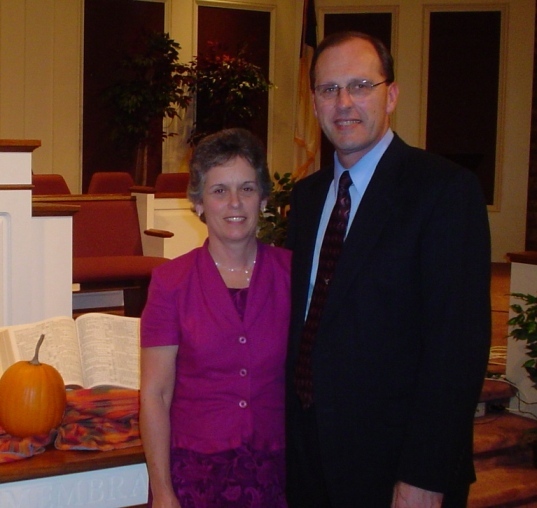 Pastor David Chapman and his wife Linda came to Nottingham in October of 2005 with nearly 30 years of ministry experience. During those years he has served 3 churches in varying capacities including assistant pastor (youth & music) and senior pastor. y, Pastor Chapman currently serves on the general council of Baptist Mid-Missions and on the board of trustees for Baptist Bible Institute. The Chapmans are blessed with three children and eight grandchildren.